This year I have THREE back to school lists!!! THREE!!! It is all so confusing for me because while one child needs red pens, the other needs red pencils. One needs large markers, one needs thin markers, and one needs a sharpie! I love organizing all of our products in a organizer with multiple drawers that have each child's names. As free and really cheap school supplies are purchased, they each go in the child's drawer and get marked off on the list next to the organizer. I always buy 2 of every supply needed because I KNOW they will run out, and all of them are kept in these bins year round (they also put them back into their drawer at the end of the school year and use them in the summer)! 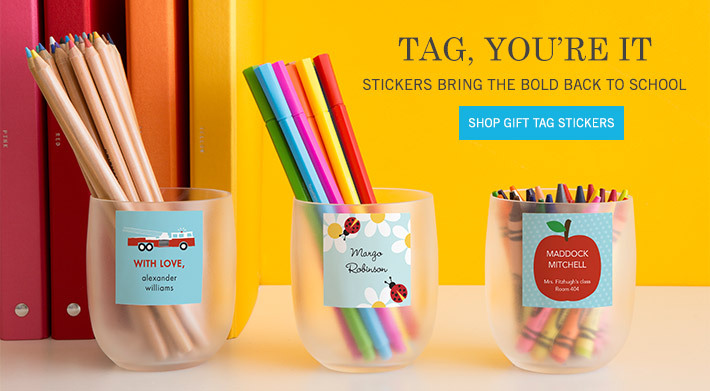 Tiny Prints is helping you get organized this school year! For the parents, they have the most amazing calendars and Custom Photo Notepads. I keep one of my notebooks (which I had personalized with one of the kids' photos) in my purse at all times and write notes in it for things I need to remember, and my daily to dos. There are also mommy cards for you, and allergy cards and stickers for the kiddos! We love the lunch box notes, and have been thinking of purchasing one of their fabulous gifts (like thank you cards or Custom Photo Mugs) to start off the year right for a teacher's gift. We are excited for the #TinyPrintsSchool Pinning Party™ taking place on 8/5 at 2:00 PM EST. RSVP at http://resourcefulmommy.com/12619/tiny-prints-back-to-school-pinning-party-tablet-giveaway/ Lots of fabulous prizes! There will also be a Back to School Pin It to Win It Pinterest sweepstakes, taking place from 8/5 – 8/28!!! More information to come!!! MamaBreak received this same prize pack to share the giveaway with our readers. We did not receive any other type of compensation. As always, our opinions and experiences are our own. Want to win your OWN Tiny Prints Back to School Prize Pack? Enter below!!! I love the Favor Tags! I love the Surrounding Thanks postcards! I like the lunch box notes. So cute! I like the Bright Sunflowers or Painter's Studio contact cards. I love the Crochet Chic Contact Cards. 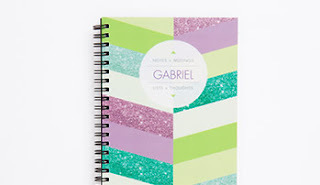 The notebooks are sooo adorable! the Chalked Notes notebook is so pretty! lunch box notes are cute. Lunch box notes are super cute! Love Flowery Joy personal notepads. I love the note cards! I have made invites for my son's birthday from Tiny Prints! Incredible! Love the Super Pals lunchbox cards! The lunch box notes are cute! Thanks! I like the lunch box notes! The lunchbox notes are cute! Getting ready for school and shopping, so exhausting! I like the simple suggestion mommy contact cards. I love the Cheerful Shimmer Princess tags! So so cute!